Immanuel Kant (/kænt/; German: [ʔɪˈmaːnu̯eːl ˈkant, -nu̯ɛl -]; 22 April 1724 – 12 February 1804) was an influential German philosopher. In his doctrine of transcendental idealism, he argued that space, time and causation are mere sensibilities; "things-in-themselves" exist, but their nature is unknowable. In his view, the mind shapes and structures experience, with all human experience sharing certain structural features. He drew a parallel to the Copernican revolution in his proposition that worldly objects can be intuited a priori ('beforehand'), and that intuition is therefore independent from objective reality. Kant believed that reason is the source of morality, and that aesthetics arise from a faculty of disinterested judgment. 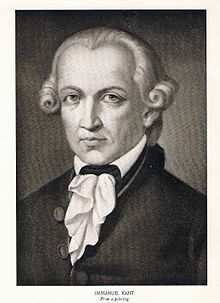 Kant's views continue to have a major influence on contemporary philosophy, especially the fields of epistemology, ethics, political theory, and post-modern aesthetics. In one of Kant's major works, the Critique of Pure Reason (1781), he attempted to explain the relationship between reason and human experience and to move beyond the failures of traditional philosophy and metaphysics. Kant wanted to put an end to an era of futile and speculative theories of human experience, while resisting the skepticism of thinkers such as David Hume. Kant regarded himself as showing the way past the impasse between rationalists and empiricists which philosophy had led to, and is widely held to have synthesized both traditions in his thought. 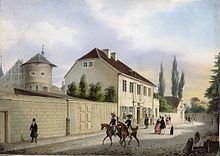 Kant's mother, Anna Regina Reuter (1697–1737), was born in Königsberg (since 1946 the city of Kaliningrad, Kaliningrad Oblast, Russia) to a father from Nuremberg. Her surname is sometimes erroneously given as Porter. Kant's father, Johann Georg Kant (1682–1746), was a German harness maker from Memel, at the time Prussia's most northeastern city (now Klaipėda, Lithuania). 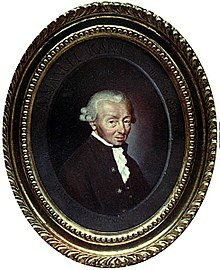 Kant believed that his paternal grandfather Hans Kant was of Scottish origin. While scholars of Kant's life long accepted the claim, there is no evidence that Kant's paternal line was Scottish and it is more likely that the Kants got their name from the village of Kantwaggen (today part of Priekulė) and were of Curonian origin. Kant was the fourth of nine children (four of whom reached adulthood). 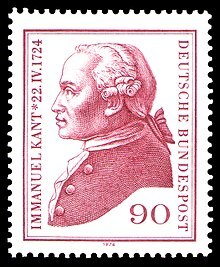 Kant was born on 22 April 1724 into a Prussian German family of Lutheran Protestant faith in Königsberg, East Prussia. Baptized Emanuel, he later changed his name to Immanuel after learning Hebrew. He was brought up in a Pietist household that stressed religious devotion, humility, and a literal interpretation of the Bible. His education was strict, punitive and disciplinary, and focused on Latin and religious instruction over mathematics and science. Kant maintained Christian ideals for some time, but struggled to reconcile the faith with his belief in science. In his Groundwork of the Metaphysic of Morals, he reveals a belief in immortality as the necessary condition of humanity's approach to the highest morality possible. However, as Kant was skeptical about some of the arguments used prior to him in defence of theism and maintained that human understanding is limited and can never attain knowledge about God or the soul, various commentators have labelled him a philosophical agnostic. Kant showed a great aptitude for study at an early age. He first attended the Collegium Fridericianum from which he graduated at the end of the summer of 1740. In 1740, aged 16, he enrolled at the University of Königsberg, where he spent his whole career. He studied the philosophy of Gottfried Leibniz and Christian Wolff under Martin Knutzen (Associate Professor of Logic and Metaphysics from 1734 until his death in 1751), a rationalist who was also familiar with developments in British philosophy and science and introduced Kant to the new mathematical physics of Isaac Newton. 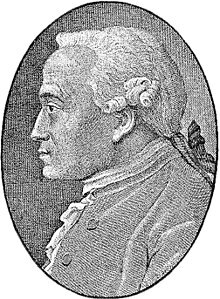 Knutzen dissuaded Kant from the theory of pre-established harmony, which he regarded as "the pillow for the lazy mind". He also dissuaded Kant from idealism, the idea that reality is purely mental, which most philosophers in the 18th century regarded in a negative light. The theory of transcendental idealism that Kant later included in the Critique of Pure Reason was developed partially in opposition to traditional idealism. Kant is best known for his work in the philosophy of ethics and metaphysics, but he made significant contributions to other disciplines. In 1754, while contemplating on a prize question by the Berlin Academy about the problem of Earth's rotation, he argued that the Moon's gravity would slow down Earth's spin and he also put forth the argument that gravity would eventually cause the Moon's tidal locking to coincide with the Earth's rotation. [b] The next year, he expanded this reasoning to the formation and evolution of the Solar System in his Universal Natural History and Theory of the Heavens. In the Universal Natural History, Kant laid out the Nebular hypothesis, in which he deduced that the Solar System had formed from a large cloud of gas, a nebula. Kant also correctly deduced (though through usually false premisses and fallacious reasoning, according to Bertrand Russell) that the Milky Way was a large disk of stars, which he theorized formed from a much larger spinning gas cloud. He further suggested that other distant "nebulae" might be other galaxies. These postulations opened new horizons for astronomy, for the first time extending it beyond the Solar System to galactic and intergalactic realms. According to Thomas Huxley (1867), Kant also made contributions to geology in his Universal Natural History. At age 46, Kant was an established scholar and an increasingly influential philosopher, and much was expected of him. In correspondence with his ex-student and friend Markus Herz, Kant admitted that, in the inaugural dissertation, he had failed to account for the relation between our sensible and intellectual faculties. He needed to explain how we combine what is known as sensory knowledge with the other type of knowledge—i.e. reasoned knowledge—these two being related but having very different processes. Kant also credited David Hume with awakening him from a "dogmatic slumber". Hume had stated that experience consists only of sequences of feelings, images or sounds. Ideas such as "cause", goodness, or objects were not evident in experience, so why do we believe in the reality of these? Kant felt that reason could remove this skepticism, and he set himself to solving these problems. He did not publish any work in philosophy for the next 11 years. Kant contests this assumption by claiming that elementary mathematics, like arithmetic, is synthetic a priori, in that its statements provide new knowledge not derived from experience. This becomes part of his over-all argument for transcendental idealism. That is, he argues that the possibility of experience depends on certain necessary conditions — which he calls a priori forms — and that these conditions structure and hold true of the world of experience. His main claims in the "Transcendental Aesthetic" are that mathematic judgments are synthetic a priori and that space and time are not derived from experience but rather are its preconditions. Once we have grasped the functions of basic arithmetic, we do not need empirical experience to know that 100 + 100 = 200, and so it appears that arithmetic is analytic. However, that it is analytic can be disproved by considering the calculation 5 + 7 = 12: there is nothing in the numbers 5 and 7 by which the number 12 can be inferred. Thus "5 + 7" and "the cube root of 1,728" or "12" are not analytic because their reference is the same but their sense is not — the statement "5 + 7 = 12" tells us something new about the world. It is self-evident, and undeniably a priori, but at the same time it is synthetic. Thus Kant argued that a proposition can be synthetic and a priori. Kant articulates his strongest criticisms of the organization and practices of religious organizations to those that encourage what he sees as a religion of counterfeit service to God. Among the major targets of his criticism are external ritual, superstition and a hierarchical church order. He sees these as efforts to make oneself pleasing to God in ways other than conscientious adherence to the principle of moral rightness in choosing and acting upon one's maxims. Kant's criticisms on these matters, along with his rejection of certain theoretical proofs grounded in pure reason (particularly the ontological argument) for the existence of God and his philosophical commentary on some Christian doctrines, have resulted in interpretations that see Kant as hostile to religion in general and Christianity in particular (e.g., Walsh 1967). Nevertheless, other interpreters consider that Kant was trying to mark off defensible from indefensible Christian belief. Kant sees in Jesus Christ the affirmation of a "pure moral disposition of the heart" that "can make man well-pleasing to God". 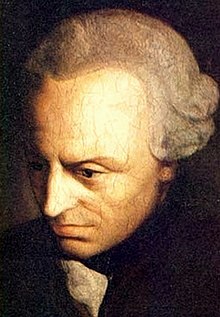 Regarding Kant's conception of religion, some critics have argued that he was sympathetic to deism. Other critics have argued that Kant's moral conception moves from deism to theism (as moral theism), for example Allen W. Wood and Merold Westphal. As for Kant's book Religion within the Boundaries of bare Reason, it was emphasized that Kant reduced religiosity to rationality, religion to morality and Christianity to ethics. In the chapter "Analytic of the Beautiful" in the Critique of Judgment, Kant states that beauty is not a property of an artwork or natural phenomenon, but is instead consciousness of the pleasure that attends the 'free play' of the imagination and the understanding. Even though it appears that we are using reason to decide what is beautiful, the judgment is not a cognitive judgment, "and is consequently not logical, but aesthetical" (§ 1). A pure judgement of taste is subjective since it refers to the emotional response of the subject and is based upon nothing but esteem for an object itself: it is a disinterested pleasure, and we feel that pure judgements of taste (i.e. judgements of beauty), lay claim to universal validity (§§ 20–22). It is important to note that this universal validity is not derived from a determinate concept of beauty but from common sense (§40). Kant also believed that a judgement of taste shares characteristics engaged in a moral judgement: both are disinterested, and we hold them to be universal. In the chapter "Analytic of the Sublime" Kant identifies the sublime as an aesthetic quality that, like beauty, is subjective, but unlike beauty refers to an indeterminate relationship between the faculties of the imagination and of reason, and shares the character of moral judgments in the use of reason. The feeling of the sublime, divided into two distinct modes (the mathematical and the dynamical sublime), describes two subjective moments that concern the relationship of the faculty of the imagination to reason. Some commentators argue that Kant's critical philosophy contains a third kind of the sublime, the moral sublime, which is the aesthetic response to the moral law or a representation, and a development of the "noble" sublime in Kant's theory of 1764. The mathematical sublime results from the failure of the imagination to comprehend natural objects that appear boundless and formless, or appear "absolutely great" (§§ 23–25). This imaginative failure is then recuperated through the pleasure taken in reason's assertion of the concept of infinity. In this move the faculty of reason proves itself superior to our fallible sensible self (§§ 25–26). In the dynamical sublime there is the sense of annihilation of the sensible self as the imagination tries to comprehend a vast might. This power of nature threatens us but through the resistance of reason to such sensible annihilation, the subject feels a pleasure and a sense of the human moral vocation. This appreciation of moral feeling through exposure to the sublime helps to develop moral character. Kant lectured on anthropology for 23 and a half years. His Anthropology from a Pragmatic Point of View was published in 1798. (This was the subject of Michel Foucault's secondary dissertation for his State doctorate, Introduction to Kant's Anthropology.) Kant's Lectures on Anthropology were published for the first time in 1997 in German. Introduction to Kant's Anthropology was translated into English and published by the Cambridge Texts in the History of Philosophy series in 2006. 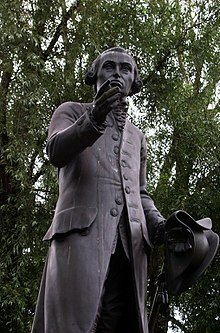 Statue of Immanuel Kant in Kaliningrad (Königsberg), Russia. Replica by Harald Haacke [de] of the original by Christian Daniel Rauch lost in 1945. Kant's thinking on religion was used in Britain to challenge the decline in religious faith in the nineteenth century. British Catholic writers, notably G.K. Chesterton and Hilaire Belloc, followed this approach. Ronald Englefield debated this movement, and Kant's use of language. [c] Criticisms of Kant were common in the realist views of the new positivism at that time. Arthur Schopenhauer was strongly influenced by Kant's transcendental idealism. He, like G.E. Schulze, Jacobi, and Fichte before him, was critical of Kant's theory of the thing in itself. Things in themselves, they argued, are neither the cause of what we observe nor are they completely beyond our access. Ever since the first Critique of Pure Reason philosophers have been critical of Kant's theory of the thing in itself. Many have argued, if such a thing exists beyond experience then one cannot posit that it affects us causally, since that would entail stretching the category 'causality' beyond the realm of experience. [d] For Schopenhauer things in themselves do not exist outside the non-rational will. The world, as Schopenhauer would have it, is the striving and largely unconscious will. Michael Kelly, in the preface to his 1910 book Kant's Ethics and Schopenhauer's Criticism, stated: "Of Kant it may be said that what is good and true in his philosophy would have been buried with him, were it not for Schopenhauer...."
Prominent recent Kantians include the British philosophers P.F. Strawson, Onora O'Neill, and Quassim Cassam and the American philosophers Wilfrid Sellars and Christine Korsgaard. Due to the influence of Strawson and Sellars, among others, there has been a renewed interest in Kant's view of the mind. Central to many debates in philosophy of psychology and cognitive science is Kant's conception of the unity of consciousness. Mou Zongsan's study of Kant has been cited as a highly crucial part in the development Mou’s personal philosophy, namely New Confucianism. Widely regarded as the most influential Kant scholar in China, Mou's rigorous critique of Kant’s philosophy—having translated all three of Kant’s critiques—served as an ardent attempt to reconcile Chinese and Western philosophy whilst increasing pressure to westernize in China. Kant always cut a curious figure in his lifetime for his modest, rigorously scheduled habits, which have been referred to as clocklike. However, Heinrich Heine noted the magnitude of "his destructive, world-crushing thoughts" and considered him a sort of philosophical "executioner", comparing him to Robespierre with the observation that both men "represented in the highest the type of provincial bourgeois. Nature had destined them to weigh coffee and sugar, but Fate determined that they should weigh other things and placed on the scales of the one a king, on the scales of the other a god." When his body was transferred to a new burial spot, his skull was measured during the exhumation and found to be larger than the average German male's with a "high and broad" forehead. His forehead has been an object of interest ever since it became well-known through his portraits: "In Döbler's portrait and in Kiefer's faithful if expressionistic reproduction of it — as well as in many of the other late eighteenth- and early nineteenth-century portraits of Kant — the forehead is remarkably large and decidedly retreating. Was Kant's forehead shaped this way in these images because he was a philosopher, or, to follow the implications of Lavater's system, was he a philosopher because of the intellectual acuity manifested by his forehead? 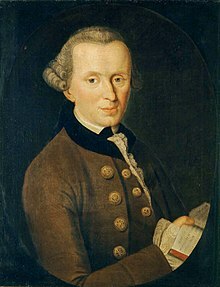 Kant and Johann Kaspar Lavater were correspondents on theological matters, and Lavater refers to Kant in his work "Physiognomic Fragments, for the Education of Human Knowledge and Love of People" (Leipzig & Winterthur, 1775–1778). 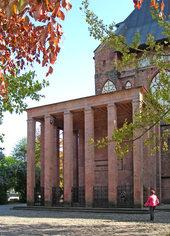 Kant's mausoleum adjoins the northeast corner of Königsberg Cathedral in Kaliningrad, Russia. The mausoleum was constructed by the architect Friedrich Lahrs and was finished in 1924 in time for the bicentenary of Kant's birth. Originally, Kant was buried inside the cathedral, but in 1880 his remains were moved to a neo-Gothic chapel adjoining the northeast corner of the cathedral. Over the years, the chapel became dilapidated and was demolished to make way for the mausoleum, which was built on the same location. In the late November 2018, his tomb and statue were vandalized with paint by unknown assailants, who also scattered leaflets glorifying Rus' and denouncing Kant as a "traitor". The incident is apparently connected with a recent vote to rename Khrabrovo Airport, where Kant was in the lead for a while, prompting nationalist resentment. IV. Student notes from Kant's lectures (vols. 24–29). ^ Nietzsche wrote that "Kant wanted to prove, in a way that would dumbfound the common man, that the common man was right: that was the secret joke of this soul." ^ Kant himself seems to have found his contribution not significant enough that he published his arguments in a newspaper commentary on the prize question and did not submit them to the Academy. The prize was instead awarded in 1756 to P. Frisi, who incorrectly argued against the slowing down of the spin. ^ See Englefield's article, Kant as Defender of the Faith in Nineteenth-century England", Question, 12, 16–27, (Pemberton, London) reprinted in Critique of Pure Verbiage, Essays on Abuses of Language in Literary, Religious, and Philosophical Writings, edited by G.A. Wells and D.R. Oppenheimer, Open Court, 1990. ^ For a review of this problem and the relevant literature see The Thing in Itself and the Problem of Affection in the revised edition of Henry Allison's Kant's Transcendental Idealism. ^ a b c Since he had written his last habilitation thesis 14 years earlier, a new habilitation thesis was required (see S.J. McGrath, Joseph Carew (eds. ), Rethinking German Idealism, Palgrave Macmillan, 2016, p. 24). ^ Frederick C. Beiser, German Idealism: The Struggle Against Subjectivism, 1781-1801, Harvard University Press, 2002, part I. ^ Tom Rockmore, On Foundationalism: A Strategy for Metaphysical Realism, Rowman & Littlefield, 2004, p. 65. ^ Oberst, Michael. 2015. "Kant on Universals." History of Philosophy Quarterly 32(4):335–52. ^ The application of the term "perceptual non-conceptualism" to Kant's philosophy of perception is debatable (see "The Togetherness Principle, Kant’s Conceptualism, and Kant’s Non-Conceptualism" (Stanford Encyclopedia of Philosophy)). ^ Biographies: Königsberg Professors – Manchester University: "His lectures on logic and metaphysics were quite popular, and he still taught theology, philosophy, and mathematics when Kant studied at the university. The only textbook found in Kant's library that stems from his student years was Marquardt's book on astronomy." ^ "Immanuel Kant: Aesthetics – Internet Encyclopedia of Philosophy". www.iep.utm.edu. ^ KpV 101–02 (=Ak V, 121–22). See also: Paul Saurette, The Kantian Imperative: Humiliation, Common Sense, Politics, University of Toronto Press, 2005, p. 255 n. 32. ^ Kuehn 2001, p. 251. ^ a b Josephson-Storm, Jason (2017). The Myth of Disenchantment: Magic, Modernity, and the Birth of the Human Sciences. Chicago: University of Chicago Press. pp. 185–86. ISBN 978-0-226-40336-6. ^ "Kant". Random House Webster's Unabridged Dictionary. ^ "Duden | Immanuel | Rechtschreibung, Bedeutung, Definition". Duden (in German). Retrieved 20 October 2018. ^ "Duden | Kant | Rechtschreibung, Bedeutung, Definition". Duden (in German). Retrieved 20 October 2018. ^ McCormick, Matt. "Immanuel Kant: Metaphysics". Internet Encyclopedia of Philosophy. Retrieved 20 February 2019. ^ Durant, Will; Durant, Ariel (1967). The Story of Civilization: Rousseau and Revolution. MJF Books. pp. 571, 574. ISBN 978-1-56731-021-4. ^ Nigel Warburton (2011). "Chapter 19: Rose-tinted reality: Immanuel Kant". A little history of philosophy. Yale University Press. p. 134. ISBN 978-0-300-15208-1. ^ "We here propose to do just what Copernicus did in attempting to explain the celestial movements. When he found that he could make no progress by assuming that all the heavenly bodies revolved round the spectator, he reversed the process, and tried the experiment of assuming that the spectator revolved.... We may make the same experiment with regard to the intuition of objects. If the intuition must conform to the nature of the objects, I do not see how we can know anything of them a priori. If, on the other hand, the object conforms to the nature of our faculty of intuition, I can then easily conceive the possibility of such an a priori knowledge." Kant, Immanuel. Translated by J.M.D. Meiklejohn, Critique of Pure Reason. ^ Kant, Immanuel; Kitcher, Patricia (intro. ); Pluhar, W. (trans.) (1996). Critique of Pure Reason. Indianapolis: Hackett. xxviii. ^ Vanzo, Alberto (January 2013). "Kant on Empiricism and Rationalism". History of Philosophy Quarterly. 30 (1): 53–74. ^ "Immanuel Kant". Stanford Encyclopedia of Philosophy. 20 May 2010. Retrieved 6 October 2015. ^ Idea for a Universal History with a Cosmopolitan Purpose. ^ Friedrich Nietzsche, The Anti-Christ (1895), para. 10. ^ Friedrich Nietzsche (trans. Walter Arnold Kaufmann), The Portable Nietzsche, 1976, p. 96. ^ "Cosmopolis". Koenigsberg-is-dead.de. 23 April 2001. Retrieved 24 July 2009. ^ Mortensen, Hans and Gertrud, Kants väterliche Ahnen und ihre Umwelt, Rede von 1952 in Jahrbuch der Albertus-Universität zu Königsberg, Pr., Holzner-Verlag, Kitzingen, Main 1953, Vol. 3, p. 26. ^ R.K. Murray, "The Origin of Immanuel Kant's Family Name", Kantian Review 13(1), March 2008, pp. 190-93. ^ Rosa Kohlheim, Volker Kohlheim, Duden – Familiennamen: Herkunft und Bedeutung von 20.000 Nachnamen, Bibliographisches Institut & F.A. Brockhaus AG, Mannheim 2005, p. 365. ^ "Immanuel Kant: Philosophy of Religion – Internet Encyclopedia of Philosophy". www.iep.utm.edu. ^ "Immanuel Kant". Christian Research Institute. ^ Edward J. Verstraete (2008). "The Popular Encyclopedia of Apologetics". In Ed Hindson; Ergun Caner (eds.). The Popular Encyclopedia of Apologetics: Surveying the Evidence for the Truth of Christianity. Harvest House Publishers. p. 82. ISBN 978-0-7369-2084-1. It is in this sense that modern atheism rests heavily upon the skepticism of David Hume and the agnosticism of Immanuel Kant. ^ Norman L. Geisler; Frank Turek (2004). "Kant's Agnosticism: Should We Be Agnostic About It?". I Don't Have Enough Faith to Be an Atheist. Crossway. pp. 59–60. ISBN 978-1-58134-561-2. Immanuel Kant's impact has been even more devastating to the Christian worldview than David Hume's. For if Kant's philosophy is right, then there is no way to know anything about the real world, even empirically verifiable things! ^ Gary D. Badcock (1997). Light of Truth and Fire of Love: A Theology of the Holy Spirit. Wm. B. Eerdmans Publishing. p. 113. ISBN 978-0-8028-4288-6. Kant has no interest in prayer or worship, and is in fact agnostic when it comes to such classical theological questions as the doctrine of God or of the Holy Spirit. ^ Norman L. Geisler, Paul K. Hoffman, ed. (2006). "The Agnosticism of Immanuel Kant". Why I Am a Christian: Leading Thinkers Explain Why They Believe. Baker Books. p. 45. ISBN 978-0-8010-6712-9. ^ Frank K. Flinn (2007). Encyclopedia of Catholicism. Infobase Publishing. p. 10. ISBN 978-0-8160-7565-2. Following Locke, the classic agnostic claims not to accept more propositions than are warranted by empirical evidence. In this sense an agnostic appeals to Immanuel Kant (1724–1804), who claims in his Critique of Pure Reason that since God, freedom, immortality, and the soul can be both proved and disproved by theoretical reason, we ought to suspend judgement about them. ^ Vorländer, Karl. "Immanuel Kant: Bei Pfarrer Andersch in Judtschen". ^ Vorländer, Karl. "Immanuel Kant: Bei Major von Hülsen in Arnsdorf". ^ The American International Encyclopedia (New York: J.J. Little & Ives, 1954), Vol. IX. ^ Porter, Burton (2010). What the Tortoise Taught Us: The Story of Philosophy. Rowman & Littlefield Publishers. p. 133. ^ Kuehn 2001, p. 94. ^ Kuehn 2001, p. 98. ^ "Immanuel Kant: Metaphysics – Internet Encyclopedia of Philosophy". www.iep.utm.edu. Retrieved 6 February 2015. ^ Schönfeld, Martin. The Philosophy of the Young Kant: The Precritical Project. Oxford University Press. p. 84. ISBN 0-19-513218-1. ^ a b Brush, Stephen G. (2014). A History of Modern Planetary Physics: Nebulous Earth. p. 7. ISBN 978-0-521-44171-1. ^ Bertrand Russell, Review of Kant's Cosmogony, Mind, n.s. 10, no. 39 (Jul 1901), 405-7. ^ Gamow, George (1947). One Two Three... Infinity. New York: Viking P. pp. 300ff. ^ Copleston, Frederick Charles. The Enlightenment: Voltaire to Kant. 2003. p. 146. ^ Sassen, Brigitte. Kant's Early Critics: The Empiricist Critique of the Theoretical Philosophy. 2000. ^ Ein Jahrhundert deutscher Literaturkritik, vol. III, Der Aufstieg zur Klassik in der Kritik der Zeit (Berlin, 1959), p. 315; as quoted in Gulyga, Arsenij. Immanuel Kant: His Life and Thought. Trans., Marijan Despaltović. Boston: Birkhäuser, 1987. ^ Gulyga, Arsenij. Immanuel Kant: His Life and Thought. Trans., Marijan Despaltović. Boston: Birkhäuser, 1987 pp. 28–29. ^ Wolfram, Stephen (2002). A New Kind of Science. Wolfram Media, Inc. p. 861. ISBN 978-1-57955-008-0. ^ a b c d e Derrida Vacant Chair p. 44. ^ "Open letter by Kant denouncing Fichte's Philosophy (in German)". Korpora.org. Retrieved 24 July 2009. ^ Kant, Immanuel, Logic, G.B. Jäsche (ed), R.S. Hartman, W. Schwarz (translators), Indianapolis, 1984, p. xv. ^ Karl Vorländer, Immanuel Kant: Der Mann und das Werk, Hamburg: Meiner, 1992, p. II 332. ^ McAleer, Sean. "Kant's Theory of Virtue: The Value of Autocracy. Ethics". Heythrop Journal. ^ Critique of Pure Reason, A811. ^ Tom Rockmore, Marx After Marxism: The Philosophy of Karl Marx (2002), p. 184. ^ "Kant, Immanuel definition of Kant, Immanuel in the Free Online Encyclopedia". Encyclopedia2.thefreedictionary.com. Retrieved 26 February 2014. ^ Kant, Immanuel. Critique of Pure Reason. Ed. Paul Guyer and Allen W. Wood. Cambridge: Cambridge UP, 1998. p. 248. ^ a b c d e f g h Immanuel Kant, Prolegomena to Any Future Metaphysics, pp. 35–43. ^ Deleuze on Kant Archived 14 November 2007 at the Wayback Machine, from where the definitions of a priori and a posteriori were obtained. ^ Kant, Foundations, pp. 420–21. ^ Kant, Immanuel (1993) . Grounding for the Metaphysics of Morals. Translated by Ellington, James W. (3rd ed.). Hackett. p. 30. ISBN 978-0-87220-166-8. . It is standard to also reference the Akademie Ausgabe of Kant's works. The Groundwork occurs in the fourth volume.The above citation is taken from 4:421. ^ "Perpetual Peace: A Philosophical Sketch: Appendix 1". Constitution.org. Retrieved 24 July 2009. ^ Kant, Immanuel (1796). Project for a Perpetual Peace, p. 61. Retrieved 24 July 2009. ^ Kant, Immanuel (1838). Immanuel Kant's Werke, revidirte Gesammtausg, p. 456. Retrieved 24 July 2009. ^ "Kant and the German Enlightenment" in "History of Ethics". Encyclopedia of Philosophy, Vol. 3, pp. 95–96. MacMillan, 1973. ^ Kant, Foundations, pp. 437–38. ^ Johann Schultz, Exposition of Kant's Critique of Pure Reason (1784), 141. ^ a b Immanuel Kant. Religion within the Limits of Reason Alone (1793), Book IV, Part 1, Section 1, "The Christian religion as a natural religion." ^ "Kant's Philosophy of Religion (Stanford Encyclopedia of Philosophy)". Plato.stanford.edu. Retrieved 24 July 2009. ^ For example Peter Byrne, who wrote about Kant's relationship with deism. Byrne, Peter (2007), Kant on God, London: Ashgate, p. 159. ^ Wood, Allen W. (1970), Kant's moral religion, London and Ithaca: Cornell University Press, p. 16. ^ Westphal, Merold (2010),The Emerge of Modern Philosophy of Religion, in Taliaferro, Charles, Draper, Paul and Quinn, Philip (editors), A Companion to Philosophy of Religion, Oxford: Blackwell, p. 135. ^ Iţu, Mircia (2004), Dumnezeu şi religia în concepţia lui Immanuel Kant din Religia în limitele raţiunii, in Boboc, Alexandru and Mariş, N.I. (editors), Studii de istoria filosofiei universale, volume 12, Bucharest: Romanian Academy. ^ The Norman Kemp Smith translation has been used for this section, with citation noting the pagination of the first and second editions. ^ Susanne Bobzien, 'Die Kategorien der Freiheit bei Kant', in Kant: Analysen, Probleme, Kritik Vol. 1, 1988, 193–220. ^ Clewis, Robert (2009). "The Kantian Sublime and the Revelation of Freedom". Cambridge: Cambridge University Press. ^ Kant, Immanuel. Idea for a Universal History. Trans. Lewis White Beck (20, 22). ^ On History, (ed. L.W. Beck, New York: Bobbs Merill, 1963, p. 106). ^ Wilson, Holly (2006). Kant's Pragmatic Anthropology. Albany: State University of New York Press. p. 7. ISBN 978-0-7914-6849-4. ^ Thomas Sturm, Kant und die Wissenschaften vom Menschen (Paderborn: Mentis Verlag, 2009). ^ Gregor, Brian. "Anthropology from a Pragmatic Point of View. By Immanuel Kant. Translated and edited by Robert B. Louden". Heythrop. ^ See Stephen Palmquist, "The Architectonic Form of Kant's Copernican Logic", Metaphilosophy 17:4 (October 1986), pp. 266–88; revised and reprinted as Chapter III of Kant's System of Perspectives: An architectonic interpretation of the Critical philosophy (Lanham: University Press of America, 1993). ^ There is much debate in the recent scholarship about the extent to which Fichte and Schelling actually overstep the boundaries of Kant's critical philosophy, thus entering the realm of dogmatic or pre-Critical philosophy. Beiser's German Idealism discusses some of these issues. Beiser, Frederick C. German Idealism: The Struggle against Subjectivism, 1781–1801. Cambridge, Massachusetts: Harvard University Press, 2002. ^ Georg Wilhelm Friedrich Hegel, Natural Law: The Scientific Ways of Treating Natural Law, Its Place in Moral Philosophy, and Its Relation to the Positive Sciences. trans. T.M. Knox. Philadelphia, PA: University of Pennsylvania Press, 1975. Hegel's mature view and his concept of "ethical life" is elaborated in his Philosophy of Right. Hegel, Philosophy of Right. trans. T.M. Knox. Oxford University Press, 1967. ^ Robert Pippin's Hegel's Idealism (Cambridge: Cambridge University Press, 1989) emphasizes the continuity of Hegel's concerns with Kant's. Robert Wallace, Hegel's Philosophy of Reality, Freedom, and God (Cambridge: Cambridge University Press, 2005) explains how Hegel's Science of Logic defends Kant's idea of freedom as going beyond finite "inclinations", contra skeptics such as David Hume. ^ Cerf, Walter. "Nicolai Hartmann". In Encyclopedia of Philosophy. Vol. 3–4. Macmillan, 1973. Nicolai was a realist who later rejected the idealism of Neo-Kantianism, his anti-Neo-Kantian views emerging with the publication of the second volume of Hegel (1929). ^ See "Essential Works of Foucault: 1954–1984 vol. 2: Aesthetics, Method, and Epistemology." Ed. by James Faubion, Trans. Robert Hurley et al. New York City: The New Press, 1998 (2010 reprint). See "Foucault, Michel, 1926 –" entry by Maurice Florence. ^ For a discussion and qualified defense of this position, see Stephen Palmquist, "A Priori Knowledge in Perspective: (I) Mathematics, Method and Pure Intuition", The Review of Metaphysics 41:1 (September 1987), pp. 3–22. ^ Körner, Stephan, The Philosophy of Mathematics, Dover, 1986. For an analysis of Kant's writings on mathematics see, Friedman, Michael, Kant and the Exact Sciences, Cambridge, Massachusetts: Harvard University Press, 1992. ^ Ray, James Lee. "Does Democracy Cause Peace?" Archived 17 February 2008 at the Wayback Machine Annual Review of Political Science 1998. 1:27–46. ^ Strawson, P.F., The Bounds of Sense: An Essay on Kant's Critique of Pure Reason. Routledge: 2004. When first published in 1966, this book forced many Anglo-American philosophers to reconsider Kant's Critique of Pure Reason. ^ Aridi, Sara (14 March 2017). "Onora O'Neill Wins Holberg Prize for Academic Research". The New York Times. ^ See Habermas, J. Moral Consciousness and Communicative Action. Trans. Christian Lenhardt and Shierry Weber Nicholsen. Cambridge, Massachusetts: MIT Press, 1996. For Rawls see, Rawls, John. Theory of Justice Cambridge, Massachusetts: Harvard University Press, 1971. Rawls has a well-known essay on Kant's concept of good. See, Rawls, "Themes in Kant's Moral Philosophy" in Kant's Transcendental Deductions. Ed. Eckart Förster. Stanford, CA: Stanford University Press, 1989. ^ Habermas, J. (1994): The Unity of Reason in the Diversity of Its Voices. In: Habermas, J. (Eds. ): Postmetaphysical Thinking. Political Essays, Cambridge, Massachusetts: 115–48. ^ Palmquist, Stephen (19 November 2010). Cultivating Personhood: Kant and Asian Philosophy (1st ed.). Hong Kong: De Gruyter, Inc. p. 25. ISBN 9783110226249. ^ Wing‐Cheuk, Chan (21 February 2006). "MOU ZONGSAN'S TRANSFORMATION OF KANT'S PHILOSOPHY". Journal of Chinese Philosophy. 33 (1): 1. ^ "Heine on Immanuel Kant" (PDF). Retrieved 10 July 2015. ^ Beyer, Susanne (25 July 2014). "Resurrecting Königsberg: Russian City Looks to German Roots". Spiegel Online. Retrieved 3 February 2018. ^ Kishkovsky, Sophia (28 November 2018). "Kant monument splashed with pink paint in Kaliningrad". The Art Newspaper. Retrieved 3 December 2018. ^ The thesis was submitted on 17 April 1755. "The public examination was held four weeks later on 13 May, and the degree was formally awarded on 12 June" (Eric Watkins, Kant: Natural Science, Cambridge University Press, 2012, p. 309). ^ Eric Watkins (ed. ), Kant and the Sciences, Oxford University Press, 2001, p. 27. ^ Martin Schonfeld, The Philosophy of the Young Kant: The Precritical Project, Oxford University Press, 2000, p. 74. ^ Available online at Bonner Kant-Korpus. ^ The thesis was publicly disputed on 27 September 1755 (Kuehn 2001, p. 100). ^ Kant's application for the position was unsuccessful. He defended it on 10 April 1756 (Kuehn 2001, p. 102). ^ Available online at Archive.org. ^ Immanuel Kant, "Concerning the ultimate ground of the differentiation of directions in space". ^ The thesis was publicly disputed on 21 August 1770 (Kuehn 2001, p. 189). ^ Available online at Google Books. ^ English translation available online at Wikisource. ^ Immanuel Kant. "The Critique of Pure Reason". Etext.library.adelaide.edu.au. Archived from the original on 2 December 2008. Retrieved 24 July 2009. ^ Immanuel Kant (20 July 2009). "Projekt Gutenberg-DE – Spiegel Online – Nachrichten – Kultur". Gutenberg.spiegel.de. Retrieved 24 July 2009. ^ Frank-Christian Lilienweihs (10 June 1999). "Immanuel Kant: Beantwortung der Frage: Was ist Aufklaerung?". Prometheusonline.de. Retrieved 24 July 2009. ^ "Critique of Pure Reason". Hkbu.edu.hk. 31 October 2003. Retrieved 24 July 2009. ^ "Projekt Gutenberg-DE – Spiegel Online – Nachrichten – Kultur". Gutenberg.spiegel.de. 20 July 2009. Retrieved 24 July 2009. ^ Immanuel Kant. "Religion within the Limits of Reason Alone by Immanuel Kant 1793". Marxists.org. Retrieved 24 July 2009. ^ "Kant, The Contest of Faculties". Chnm.gmu.edu. Retrieved 24 July 2009. ^ Available online at DeutschesTextArchiv.de. ^ As noted by Allen W. Wood in his Introduction, p. 12. Wood further speculates that the lectures themselves were delivered in the Winter of 1783–84. ^ Immanuel Kant, Notes and Fragments, Cambridge University Press, 2005, p. xvi. In Germany, one important contemporary interpreter of Kant and the movement of German Idealism he began is Dieter Henrich, who has some work available in English. P.F. Strawson's The Bounds of Sense (1966) played a significant role in determining the contemporary reception of Kant in England and America. More recent interpreters of note in the English-speaking world include Lewis White Beck, Jonathan Bennett, Henry Allison, Paul Guyer, Christine Korsgaard, Stephen Palmquist, Robert B. Pippin, Roger Scruton, Rudolf Makkreel, and Béatrice Longuenesse. Bader, Ralph (2008). "Kant, Immanuel (1724–1804)". In Hamowy, Ronald (ed.). The Encyclopedia of Libertarianism. Thousand Oaks, CA: Sage; Cato Institute. pp. 269–71. doi:10.4135/9781412965811.n161. ISBN 978-1-4129-6580-4. LCCN 2008009151. OCLC 750831024. Guyer, Paul (ed.). The Cambridge Companion to Kant, Cambridge: Cambridge University Press, 1992. ISBN 0-521-36587-2, 0-521-36768-9. Excellent collection of papers that covers most areas of Kant's thought. Allison, Henry. Kant's Transcendental Idealism. New Haven: Yale University Press, 1983, 2004. ISBN 0-300-03629-9, 0-300-03002-9 (a very influential defense of Kant's idealism, recently revised). Schott, Robin May (1997). Feminist interpretations of Immanuel Kant. University Park, Pennsylvania: Pennsylvania State University Press. ISBN 978-0-271-01676-4. Seung, T.K. Kant's Transcendental Logic. New Haven: Yale University Press, 1969. Strawson, P.F. The Bounds of Sense: An Essay on Kant's Critique of Pure Reason. Routledge, 1989 (the work that revitalized the interest of contemporary analytic philosophers in Kant). Friedman, Michael (June 1998). "Kantian themes in contemporary philosophy". Proceedings of the Aristotelian Society, Supplementary Volumes. 72 (1): 111–30. doi:10.1111/1467-8349.00038. JSTOR 4107015. Paton, H.J. The Categorical Imperative: A Study in Kant's Moral Philosophy. University of Pennsylvania Press 1971. Assiter, Alison (July 2013). Kant and Kierkegaard on freedom and evil. Royal Institute of Philosophy Supplement. 72. pp. 275–96. Bibcode:1995kppp.book.....O. doi:10.1017/S1358246113000155. Bird, Graham (June 1998). "Kantian themes in contemporary philosophy". Proceedings of the Aristotelian Society, Supplementary Volumes. 72 (1): 131–52. doi:10.1111/1467-8349.00039. JSTOR 4107015. O'Neill, Onora (June 1998). "Kant on duties regarding nonrational nature". Proceedings of the Aristotelian Society, Supplementary Volumes. 72 (1): 211–28. doi:10.1111/1467-8349.00043. JSTOR 4107017. Wood, Allen W. (June 1998). "Kant on duties regarding nonrational nature". Proceedings of the Aristotelian Society, Supplementary Volumes. 72 (1): 189–210. doi:10.1111/1467-8349.00042. JSTOR 4107017.